To begin: what is an amphibian? 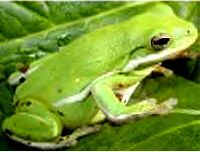 Amphibian is from the Greek amphibios, or two lives. or metamorphosis and become another animal. not to get too hot or too cold. and they are disappearing in unthinkable numbers. is quite risky and having profound consequences. are not the only ones who are being affected.